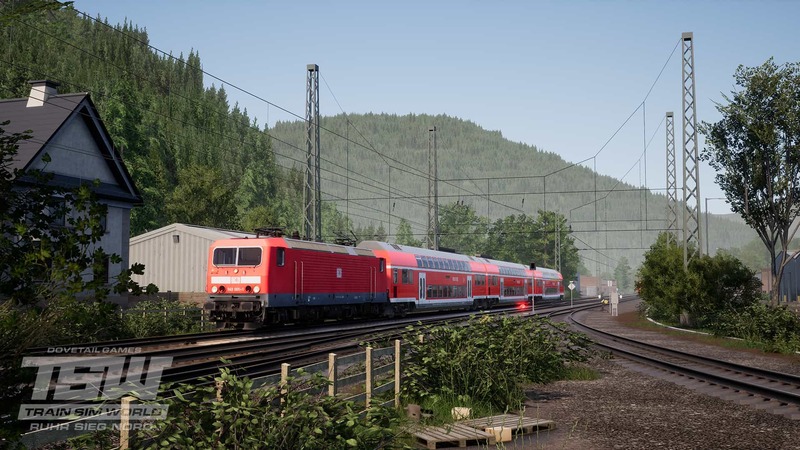 Explore a valley of tales today, as the latest expansion for Train Sim World, Ruhr Sieg Nord, recreates the northern section of one of the oldest lines in Germany, and it is available now for Windows PC! 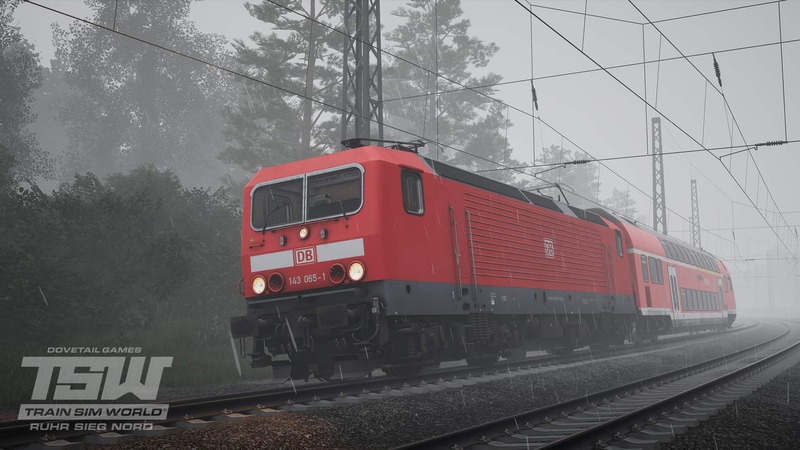 Climb aboard the modern DB BR 185.2 and, for the first time in Train Sim World, set out on log, steel and mixed freight duties across German rails. Whether it’s mostly clear skies or snowing heavily late at night, the timetable is yours to uphold. 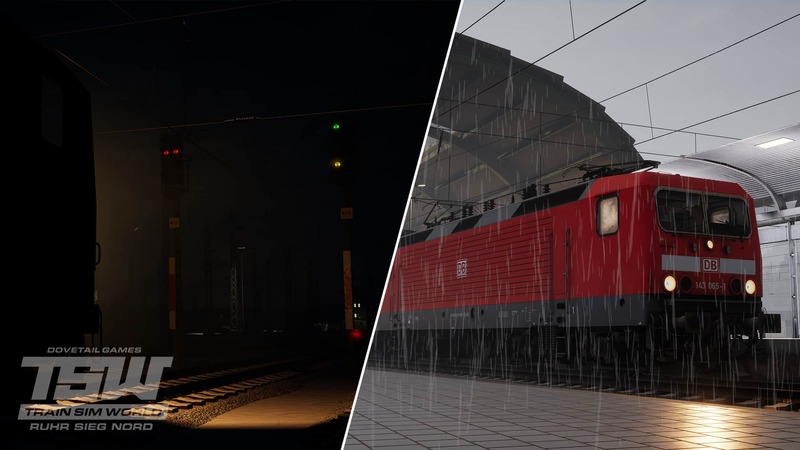 Get to work on passenger and freight traffic from the 1980s-born DB BR 143, the differences in cab layout to the BR 185.2 make for a totally different drive, one that calls back to a by-gone era of locomotive design and operation. 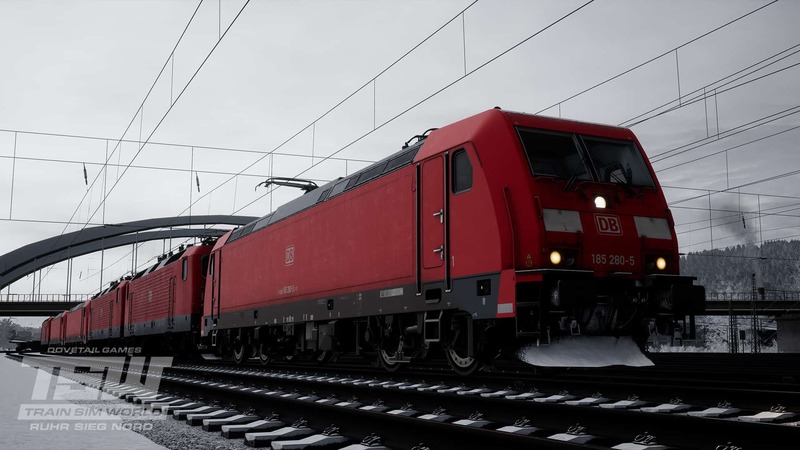 Take control of passenger services in the opposite direction from the 767.2 DABpbzfa control car, designed to work in tandem with locomotives such as the BR 143 to allow efficient push-pull operations. From the Doppelstock coaches, including the control car, you have the choice to take in the scenery from either of the stylish decks. There’s literally twice as much to explore so make sure to take a look round the entire coach, can you find the control panel? There are a lot of areas to discover across the route, typically denoted by a fence that is temptingly open, have a saunter between duties and see what you can find before anyone else. Speaking of finding, there are 75 collectables dotted about the route, some will be at stations but others elsewhere. 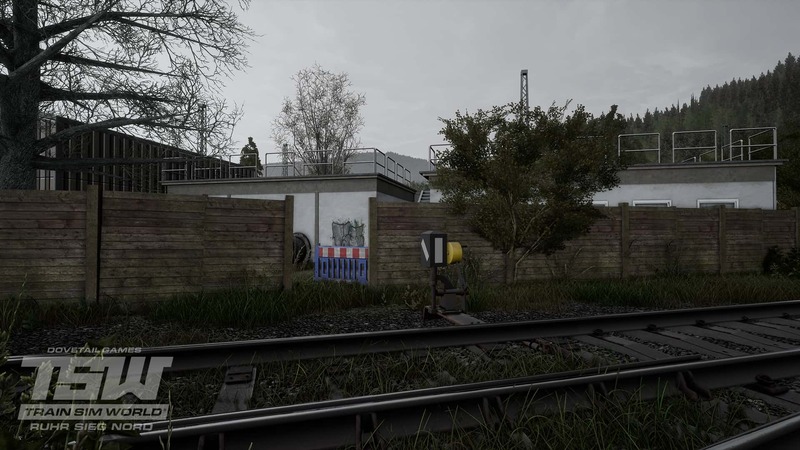 There’s route maps and “no trespassing” signs to place, spike mauls to pick up and broken lights to fix; which are you going to try and complete first? 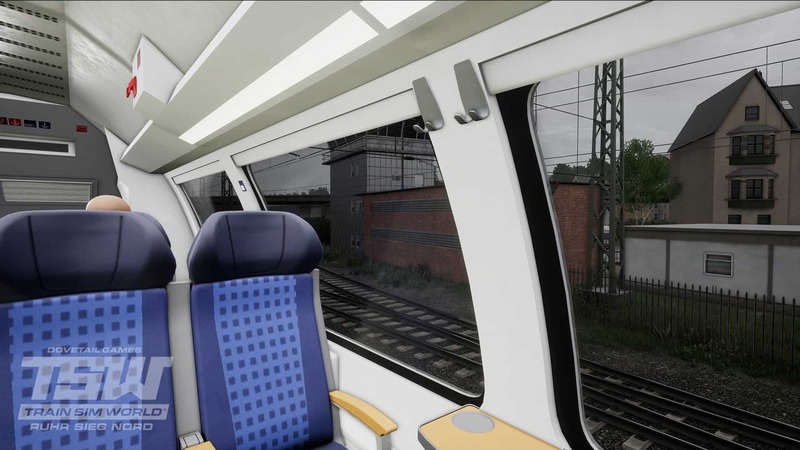 Service Mode offers passenger consists that vary in length from service-to-service, as per the timetable, however the most fascinating is “RB56”, which shuttles along the line from Hagen to Letmathe and back, formed of a DB BR 143 and a single coach, the control car. This lends itself to a fascinating and quite quaint driving experience. 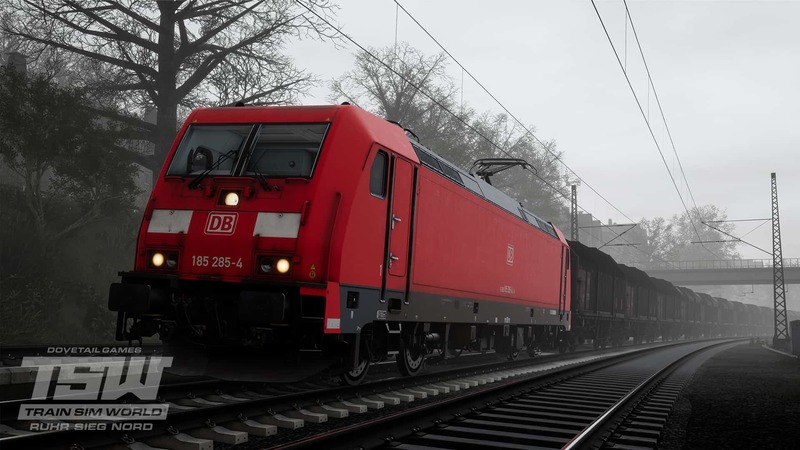 Another interesting service that can be headed by either the DB BR 185.2 or the DB BR 143 is “DB 84501”, this is a convoy of 6 locomotives that are in need of repositioning along the route. Hauling loco brethren in this manner is most unique, and as an added challenge, the leading loco is in a cold and dark state. Find a good vantage point, be that a platform, a nearby siding, or among the trees, and watch the action unfold. 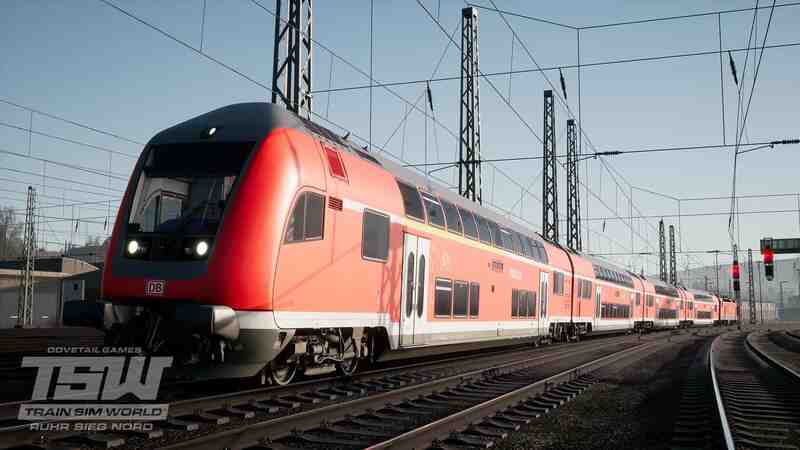 Capture that once-in-a-lifetime screenshot and enjoy watching each service go by. In Service Mode, select Autumn and set up for some heavy rainfall, then try a few different services throughout day and night, you will soon notice that it’s cold enough to snow after dusk, only for it all melt again the next morning. 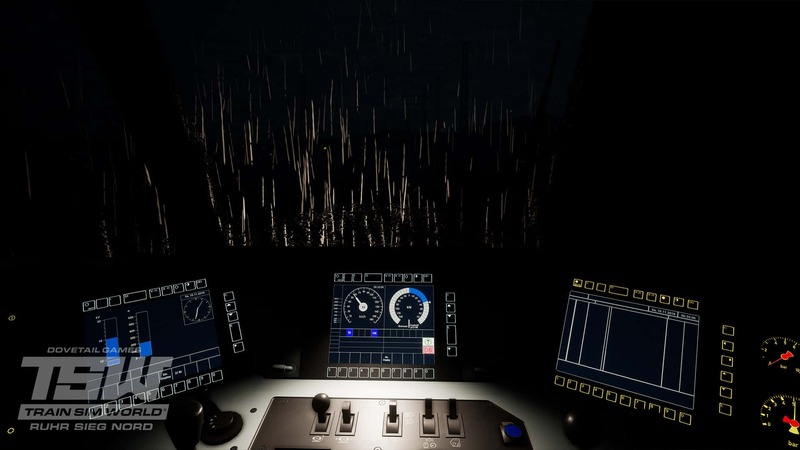 In Service Mode, set the season to Autumn, set the harshest rainfall you can – select the DB BR 185.2 and its 0630 service, “DB 80207”. 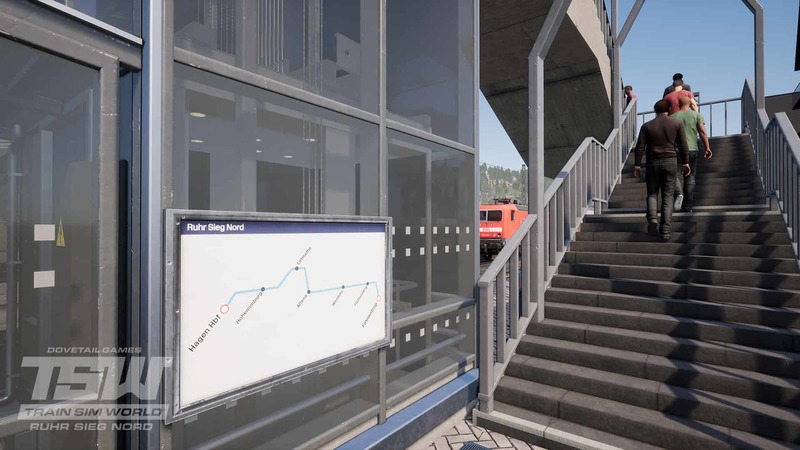 Once you’re in, throw the HUD off and set the PZB and Sifa safety systems to on – this is how to experience Train Sim World: Ruhr Sieg Nord at its finest. 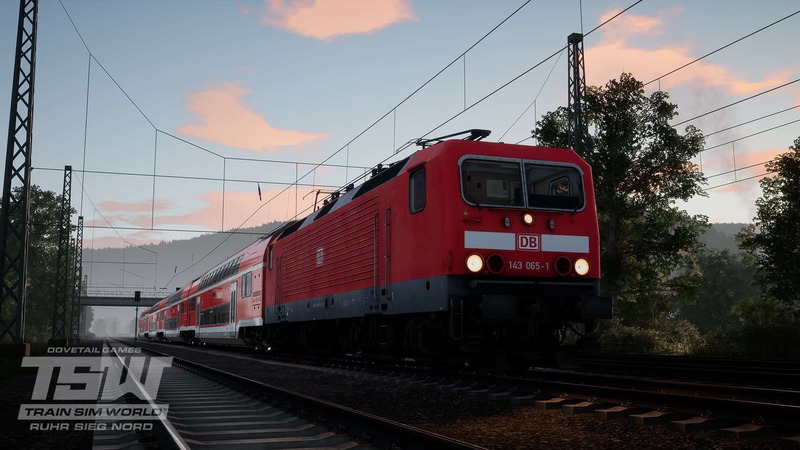 Head to the Store and pick up Train Sim World: Ruhr Sieg Nord right now! Win a Korda Tackle Box!